Last updated: 06th December 2007. Nottinghamshire Campaign for Better Transport works for transport policies within Nottinghamshire that give greater priority to the environment. These policies should aim towards saving lives and conserving natural resources by: restraining traffic, improving rail and bus services, and making walking and cycling safer and more pleasant. 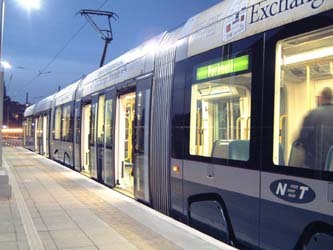 Nottinghamshire Campaign for Better Transport also advocates making maximum use of rail and water for freight traffic. Nottinghamshire Campaign for Better Transport was established in 1977 as the Nottinghamshire Transport Group, changing its name in the early 1980s to Nottinghamshire Transport 2000. However, it has always been the Nottinghamshire branch of the Campaign for Better Transport (previously Transport 2000), the national pressure group which campaigns for transport policies that give greater priority to the environment. Nottinghamshire Campaign for Better Transport is not 'anti-car', rather it campaigns for services which provide an alternative to the car. These include: the provision of adequate public transport services, safe facilities for cyclists and pedestrians, and good public transport information. As these issues are of concern to other environmental groups, Nottinghamshire Campaign for Better Transport has often run campaigns with other groups, e.g. Friends of the Earth, Rail Future, and the Campaign for the Protection of Rural England. Public meetings with guest speaker and other social events are held from time to time. Watch out for our publicity. Derbyshire and Peak District Campaign for Better Transport: Wilf Carey, 129 Spinney Crescent, Toton, Nottingham, NG9 6GE. 0115-973 5792 (home). Pedals: Hugh McClintock, 162 Musters Road, West Bridgford, Nottingham, NG2 7AA. 0115-981 6206. Public Transport Customer Services 0115 - 977 4600 (Mon - Fri office hours). SCB East Midlands Travel and Leisure - a very useful website - http://www.scbeastmidstravel.co.uk/. 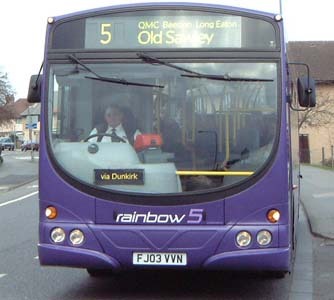 Other areas http://www.traveline.org.uk/ or ring 0870 608 2 608 and ask to be transferred to the area you are interested in. Most operators, if no number is listed, will expect you to ring the general enquiry service numbers above. Rail timetable and fare enquiries Telephone: 08457 48 49 50.